Light, texture, scale, surface, material, movement, design, color. Each one of these elements play a particular role in the effect and impact of modern abstract sculpture. Our reaction to sculpture is inextricably connected to our emotional response and experience. 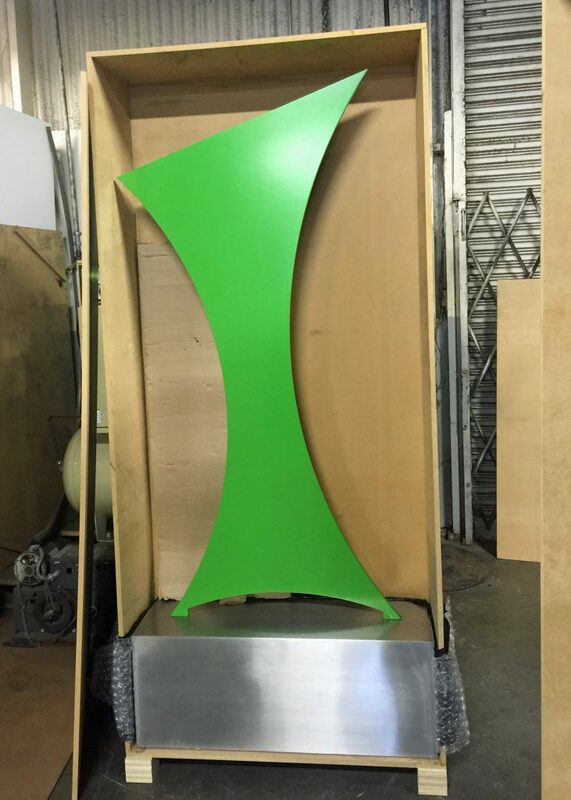 Occasionally, a client will inquire if we are open to modifying the color or changing the metal material of one of our limited edition sculptures. This dialogue often leads to a collaboration – with spectacular results. We have created many interesting variations of our limited edition works, with changes in color, material and size. We thought it was time that we share some of these special works on our online gallery. We will soon be launching a new digital gallery called “Special Commissions”. This gallery will be a place where we will display sculptures (photos mostly taken in our studio) of some of the customized sculptures we’ve created over the years including sculptures seen below. This online gallery will show the possibilities in variations of color, scale and material in our sculpture work. 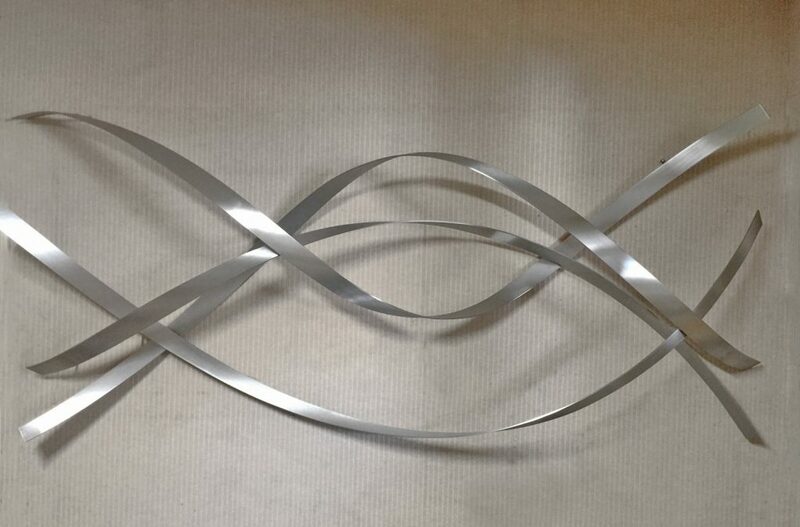 The custom sculpture commissions were created for both private and public spaces. 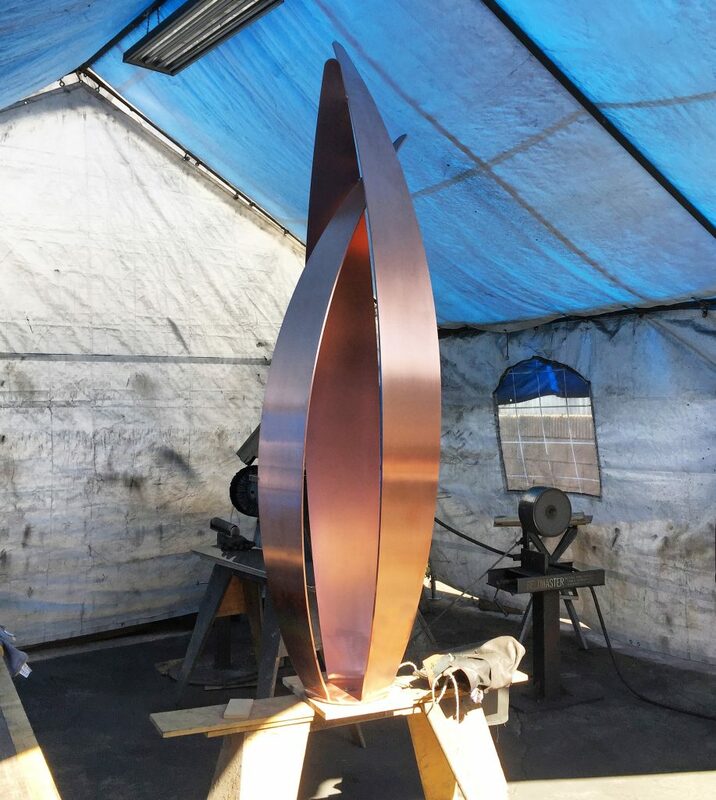 We hope that by viewing the sculpture in our new “Special Commissions” gallery your mind will open up to the many possibilities of the art we create. 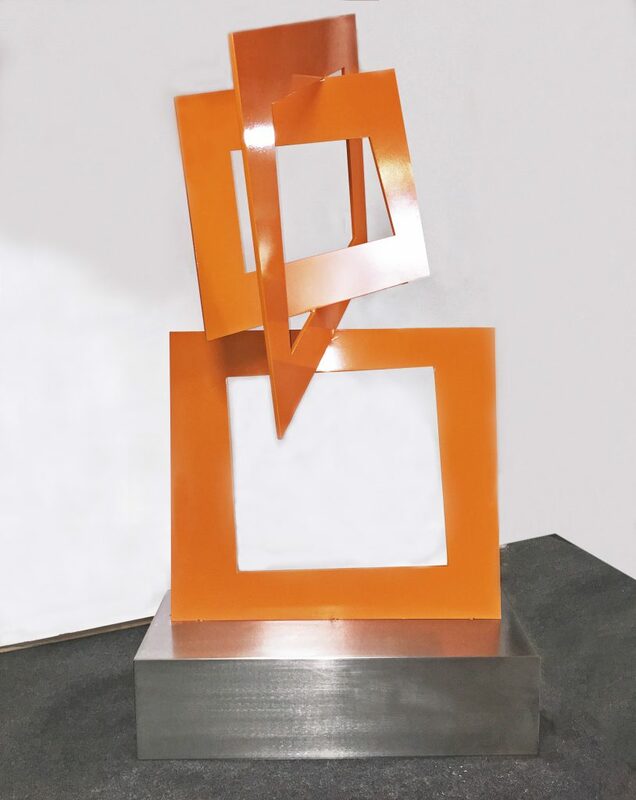 Please email or call to inquire about info and pricing of the sculptures featured below. 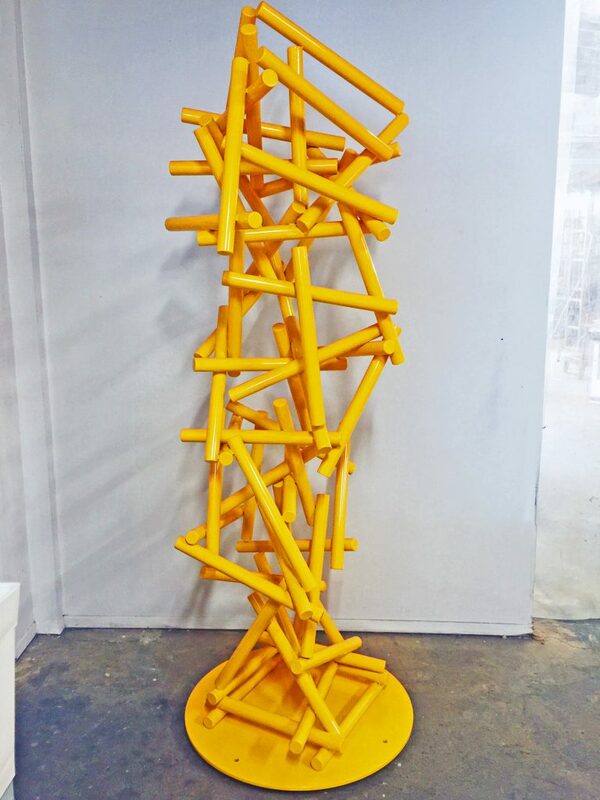 Sculpture: Gravity, yellow powdercoated steel.